The Election Commission of India (ECI) will hold a live demonstration of Electronic Voting Machines (EVMs) and Voter Verifiable Paper Audit Trail System (VVPATs) tomorrow in Delhi. There will also be a press conference on the " EVM Challenge". Earlier this week, the poll panel had said it would offer an 'opportunity' to the political parties to prove that EVMs used in the recently held assembly polls were tampered with or can be tampered even with laid down safeguards. 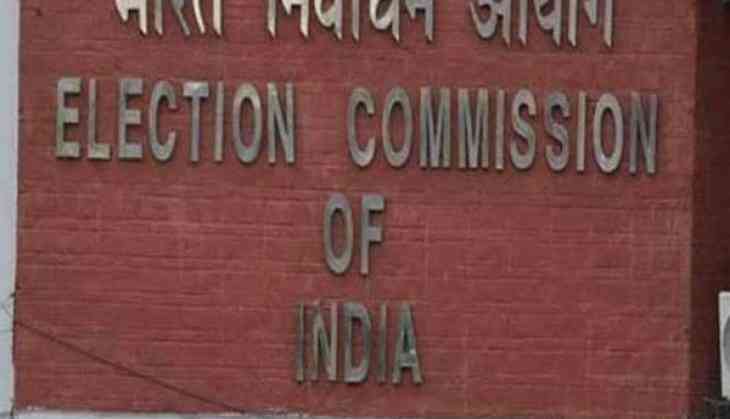 The ECI also convened an all-party meeting over the issue of EVM and other electoral reforms. In its communication to the presidents of all the seven national and 48 state political parties, the poll panel sent a status paper on EVMs and VVPAT. Last month, sixteen opposition parties had urged the Election Commission to revert to the paper ballot system saying that the alleged tampering has created trust deficit in the credibility of the EVMs. However, the poll body has been maintaining that EVMs are tamper proof and cannot be manipulated. The Union Cabinet had given its nod to sanctioned funds of nearly Rs. 3,200 crore to procure more than 16 lakh VVPATs as sought by the Election Commission. Besides EVMs, the meeting is expected to deliberate on making bribery in elections a cognisable offence, disqualification on framing of charges for the offences of bribery in elections and suggestions in VVPAT recount Rules. On Tuesday, the AAP, during a special session of the Delhi assembly, conducted a live demonstration on how EVMs can be tampered with. Reacting to the demonstration, the poll panel said the machine used to conduct live demonstration was a 'look-alike'' which was made to function in a 'tampered' manner. A day before the all-party meeting, the AAP yesterday forwarded a new demand, calling for an all party committee to be formed under the monitoring of the Election Commission to ascertain whether EVMS were hacked in the recently held elections or not.